Everyone's heard about Apple's "Genius Bar" where you can get help with any of their products. And now MAREIA has its own version which takes place on the 4th Monday of each month. Investors of all types are welcome to stop in and ask for advice about any aspect of real estate investing. 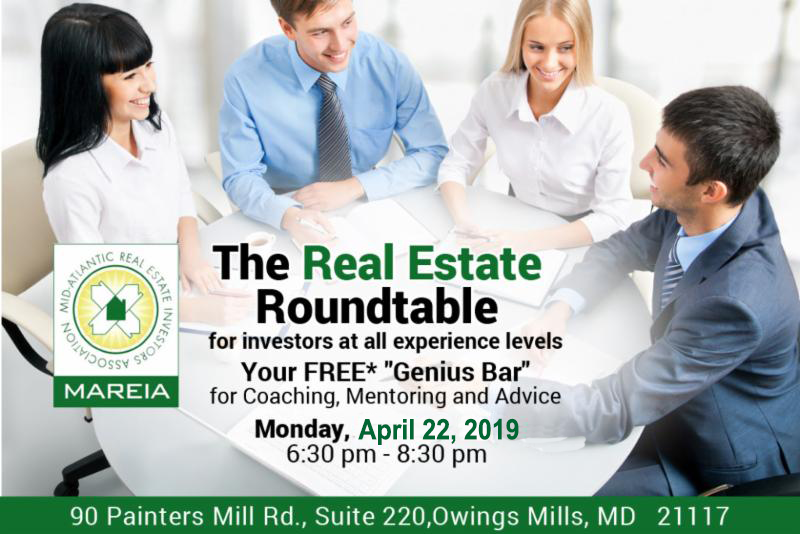 For newbies, this is a great chance to get the answers to your questions from those who are earning a full-time living in real estate. More experienced investors can network with others like themselves and help out the newcomers as well. If you're a full-time investor and think that you don't want to share your knowledge with those starting out, you're missing a great opportunity. Any teacher will tell you that you don't really learn a subject until you have to explain it to someone else. You can also bring your deals in for free analysis and get the benefit of the combined knowledge of many local investors. This can help you make the best deal possible or stop you from making a costly mistake.